ON THIS DATE (August 12, 1937) ... 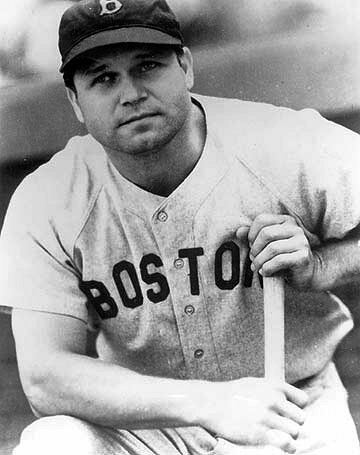 In the first game of a doubleheader with the Yankees‚ Jimmie Foxx hits one way out of Fenway Park‚ the ball leaving the park to the right of the CF flag pole. The shot came off New York's Kemp Wicker and helped the Red Sox overpower the Yankees‚ 16-10, stopping New York's win streak at 10. The blast happened in the eighth inning. The ball was said to land in Kenmore Square bouncing off the concrete roof of one of the subway entrances, and rebounded with such force that it landed in Boston Harbor. Well .... it was an incredible blast anyway in an equally incredible game. The way the lead kept going back and forth, it looked like neither team wanted to win. The Yankees jumped out to a 6-0 lead only to see it lost when the score turned in the Red Sox favor in the 5th inning, 9-8. The Yankees tied it up in the sixth, but the Red Sox outslugged the bombers in the final three innings to take the first game of the doubleheader.